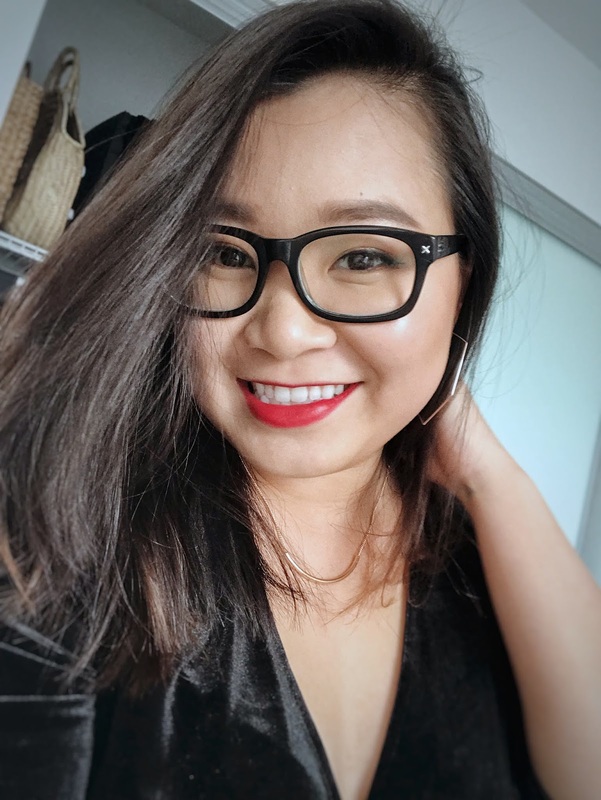 NANCY MAC: A HOLIDAY LOOK WITH CHARLOTTE TILBURY | HOLLYWOOD FLAWLESS FILTER, MAGIC CONCEALER, AND MORE! 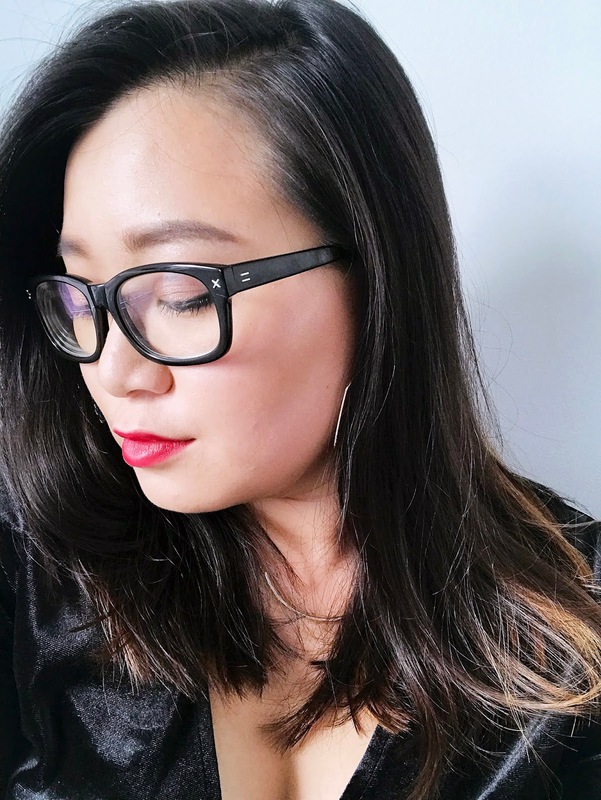 A HOLIDAY LOOK WITH CHARLOTTE TILBURY | HOLLYWOOD FLAWLESS FILTER, MAGIC CONCEALER, AND MORE! I am so excited to bring this blog post to you readers today! Why am I excited you ask? Because the holiday blog posts have officially started, and I have a few posts planned that I can't wait to get out to you. Today we're beginning with some products that are perfect to add to your makeup for those holiday events and parties we're all gearing up to attend. 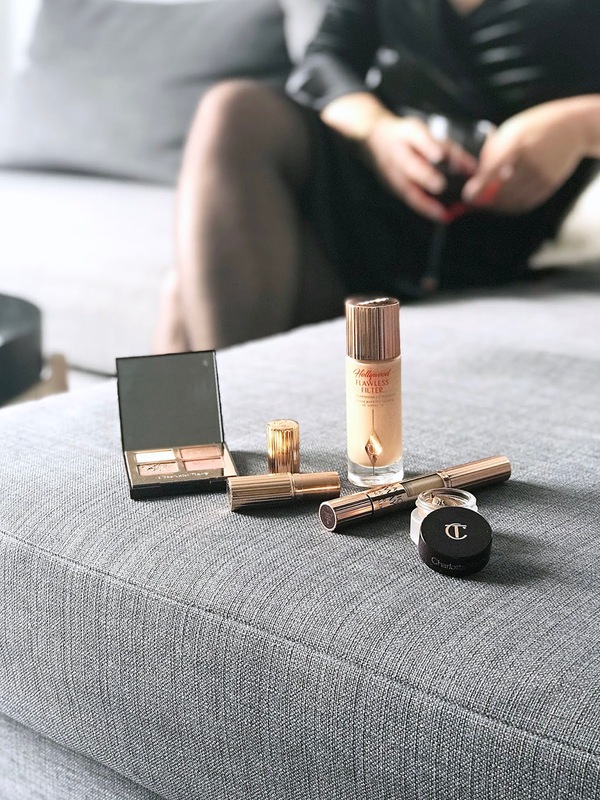 I have a few select products from Charlotte Tilbury, and as we know, Charlotte Tilbury is all about that glowy, effortless look and these products do just that. Today I'm featuring the Hollywood Flawless Filter, the Magic Away Liquid Concealer, Eyes to Mesermise Cream Eyeshadow, Bigger Brighter Eyes Palette, and K.I.S.S.I.N.G. Lipstick. There's lots of products to go through, so let's just get right into it. This is a complexion booster that can be used alone or mixed in with your foundation. I use the shade no. 3 light/medium and have found that even on it's own, the coverage is pretty decent although for a a party look, you'd probably want to mix it in with a foundation. The concept behind this product is that it is literally a "filter" for your skin, containing nano-particles that help to blur imperfections while acting like an all-over highlighter for that luminous look. What I love about the Hollywood Flawless Filter is that you get that glow without looking oily. If anything, my skin just looks super smooth and radiant. Even though Charlotte Tilbury is known for that radiant, glowing, almost natural beauty look, their products perform. The Magic Away Liquid Concealer is a full-coverage concealer that's perfect for makeup that you want to last all night long. These cream eyeshadows come in a range of shades however, I think the shade "Bette" is the perfect base for the palette that I'm using in conjunction with it. It's am amber-gold colour, and is super creamy and rich in colour. It blends out so easily and can be worn by itself to. I've featured this palette before on the blog but to recap, this palette in the shade "Exagger-Eyes" is just a stunner. The palette features four complimentary shadows: an ivory cream, rose gold, red-brown, and a transparent sparkle shade. The palette is great for every day but what makes it even better for the holidays is the sparkle shade that adds a pop to my eye look. The shadows blend out effortlessly and look even better with the Eyes to Mesmerise cream shadow base. This palette was limited edition but it's back just in time for the holiday season! And the perfect red to top everything off for the holidays - the K.I.S.S.I.N.G. lipstick in the shade, So Marilyn. This lipstick has a satin finish and contains a formula that's super moisturizing and doesn't bleed outside of your lipline. 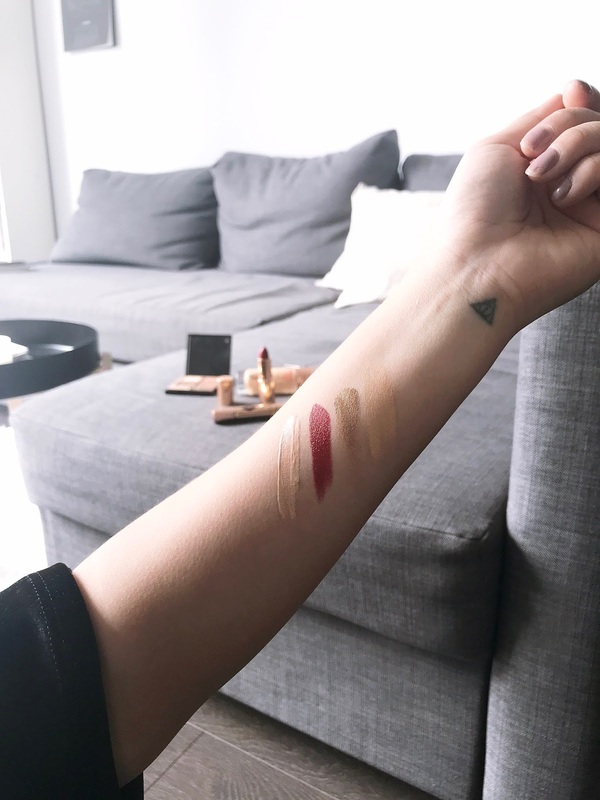 If you prefer, you could make it more matte with a powder too. So that's my holiday look! What do you think? 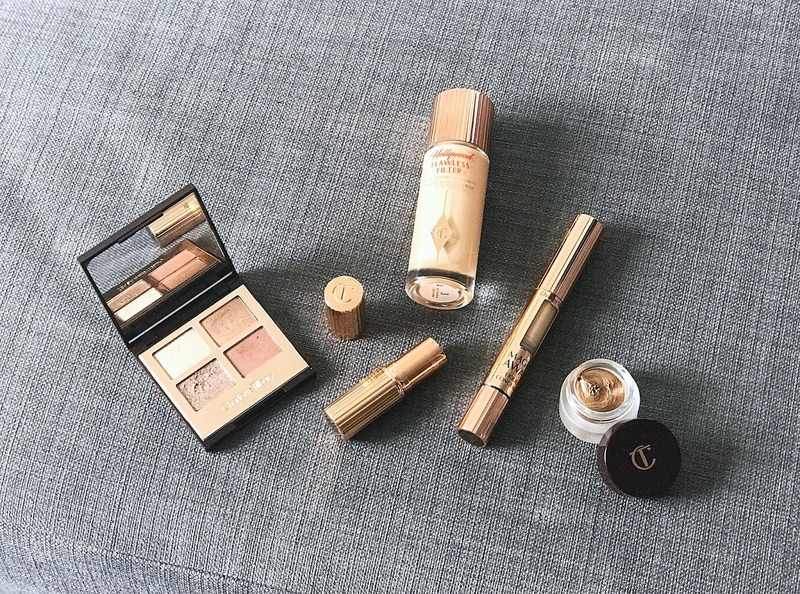 Are there any products you want to try from Charlotte Tilbury? There's just something about her products too that just feel so festive to me! Let me know down in the comments below.